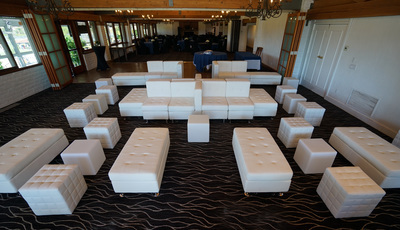 Looking to Rent Event Furniture and you’re tired of the same old plastic chairs and tables? Well good, we don’t rent plastic chairs. 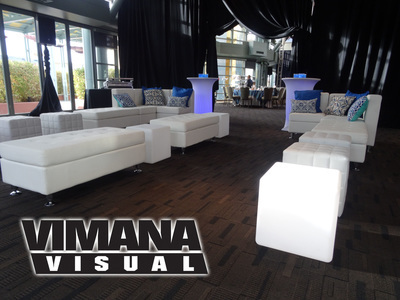 We offer affordable, luxurious soft seating Event Furniture Rentals for your event guests. 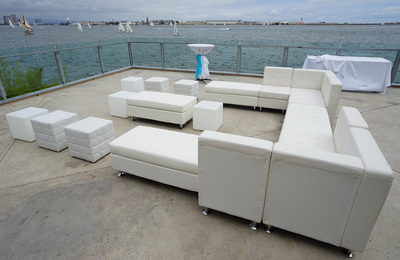 Are you planning a Special Event and need Event Furniture Rentals? 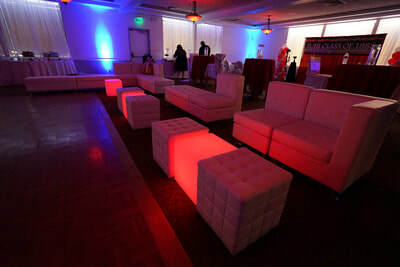 We offer comfortable Event Lounge Furniture Rentals your event guests expect. 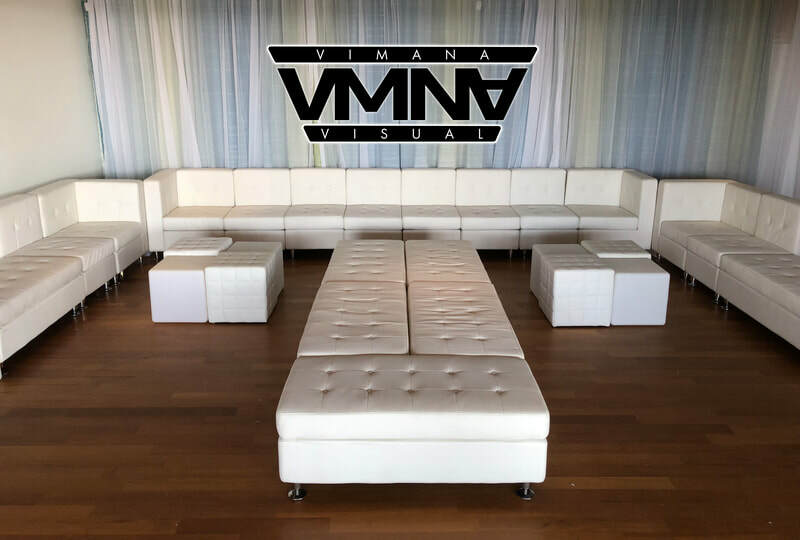 Maybe you’re hosting a Corporate Event and need an Event VIP Hospitality Lounge area for your guests to relax and mingle and enjoy spending time at your event. 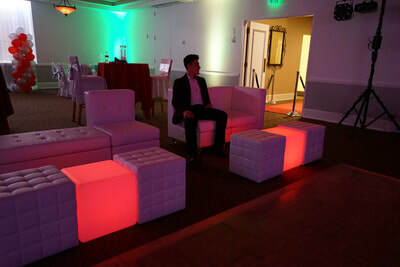 The idea is to keep your guests at the special event, right? 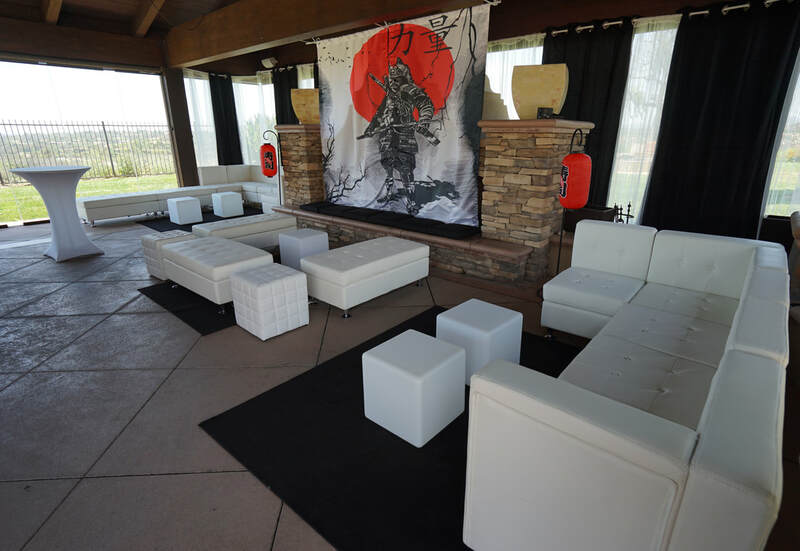 Create a custom “Corporate Branded” Event Lounge area, Club V.I.P. 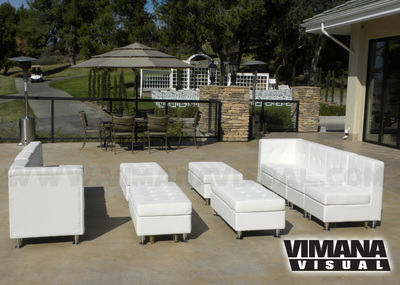 look or just a real nice sitting area for your guests with our Party Furniture Rentals. 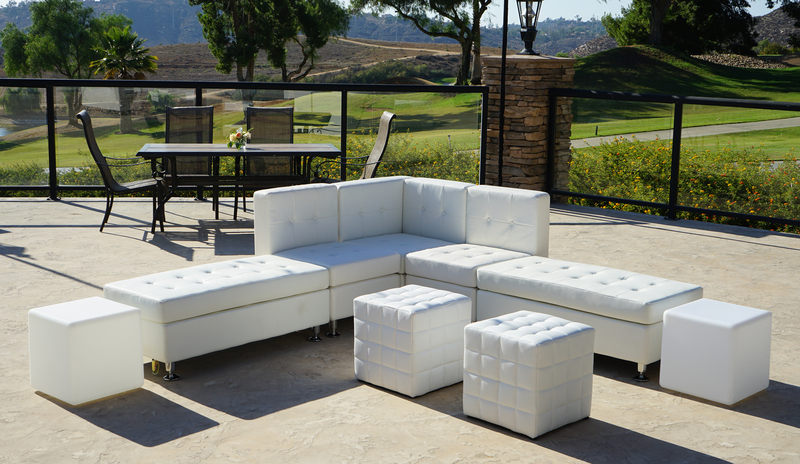 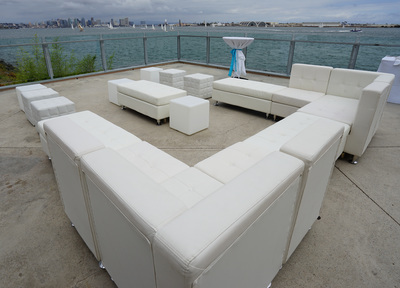 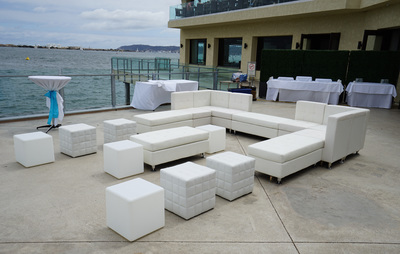 Contact our San Diego Event Furniture Rental company to discuss some unique options to Rent Event Furniture for your next event and get the high quality, luxurious Italian leather Event Furniture Rentals that the Classic Party Rental Companies charge a lot more for. 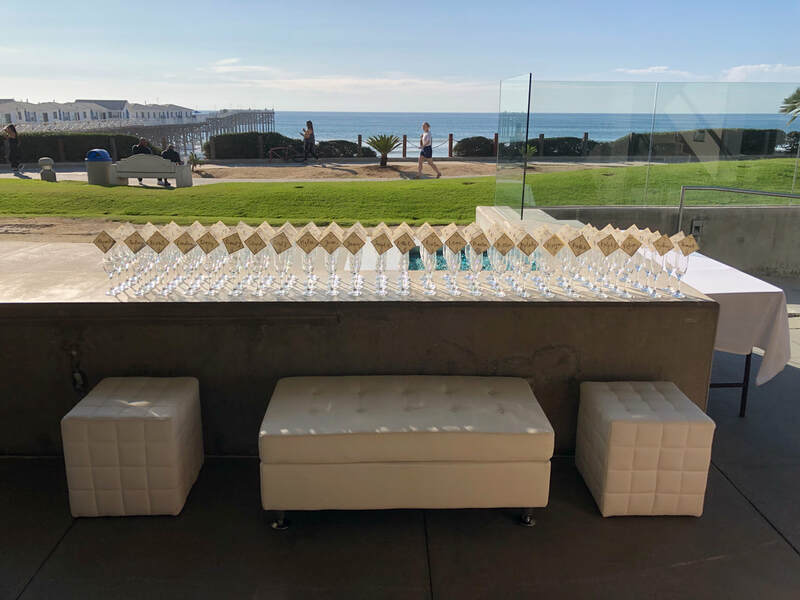 Our San Diego Party Rental Company offers San Diego Event Lounge Furniture Rentals for your indoor or outdoor Corporate Events. We offer our Party Furniture Rentals throughout the Southern California area, including San Diego County, Palm Springs and Orange County. 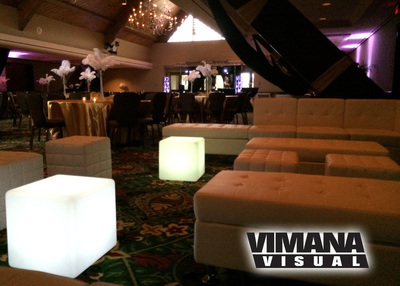 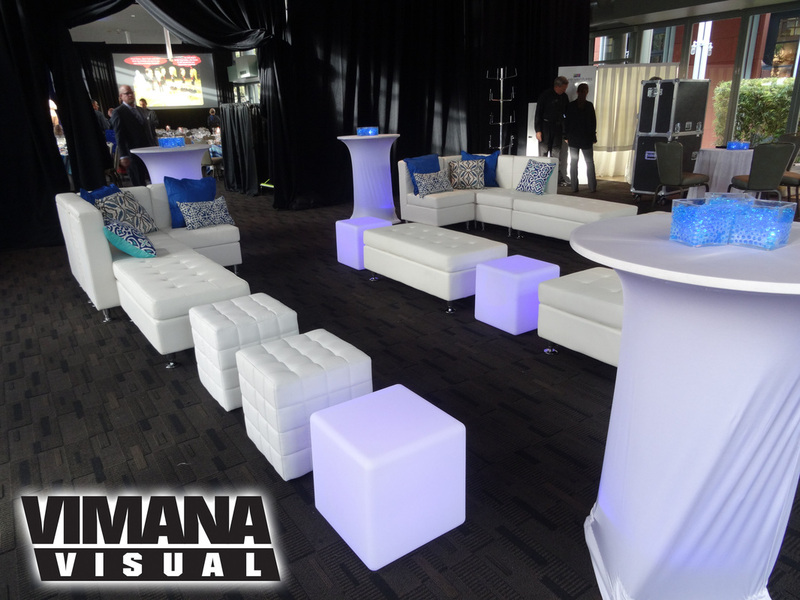 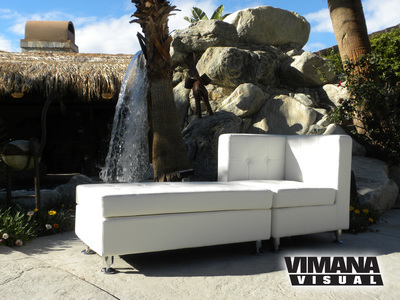 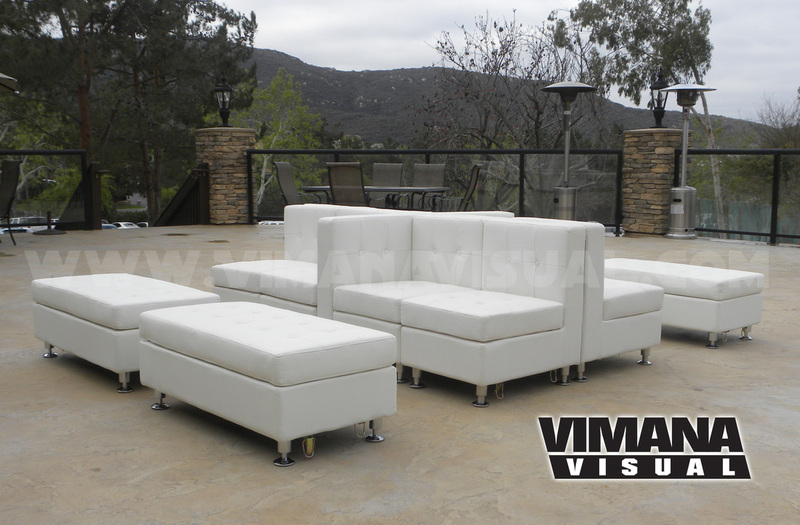 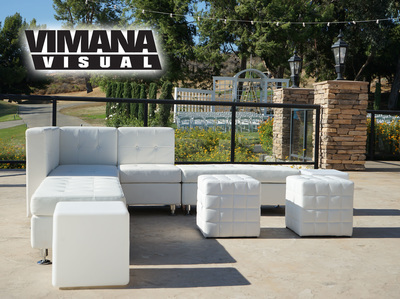 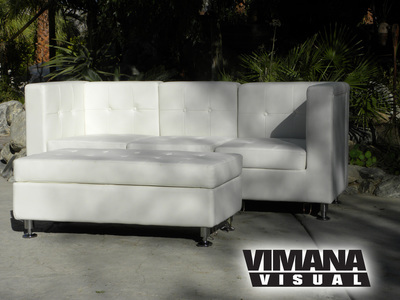 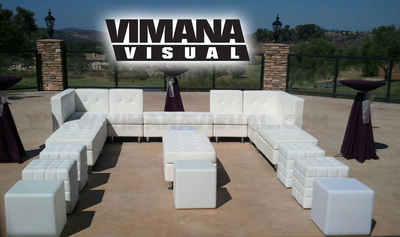 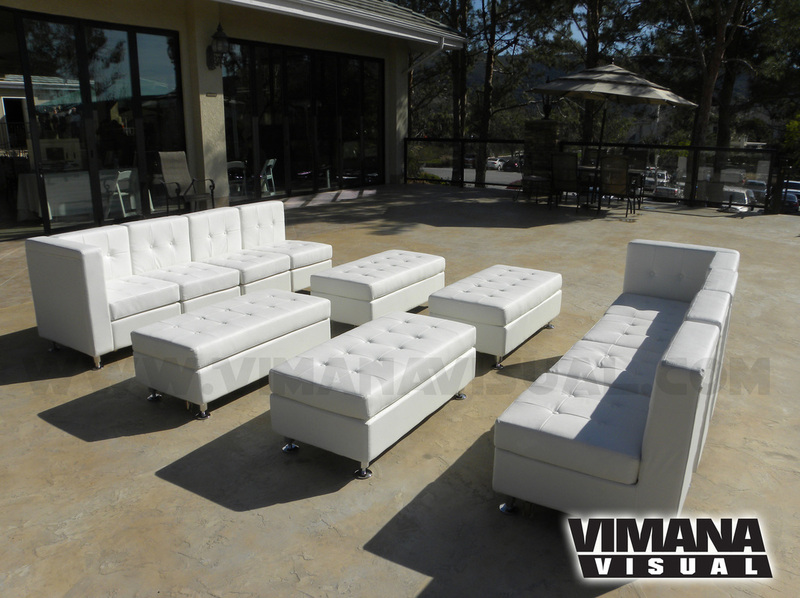 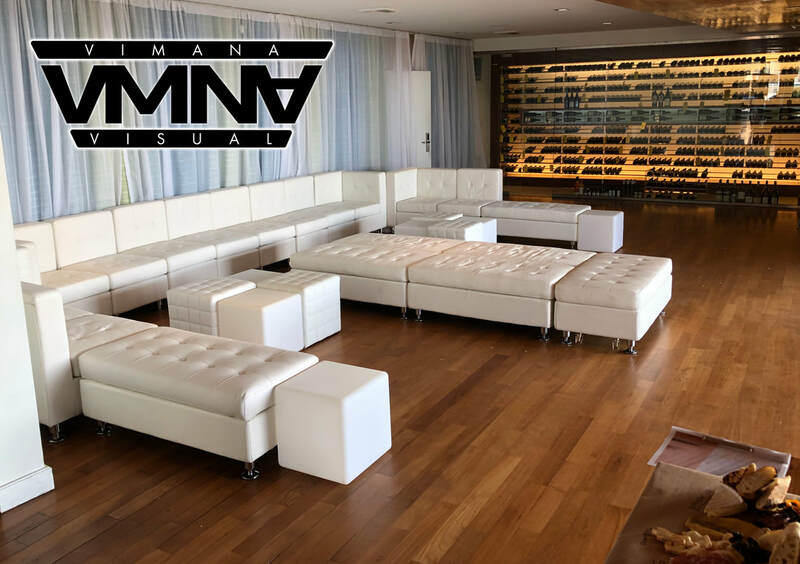 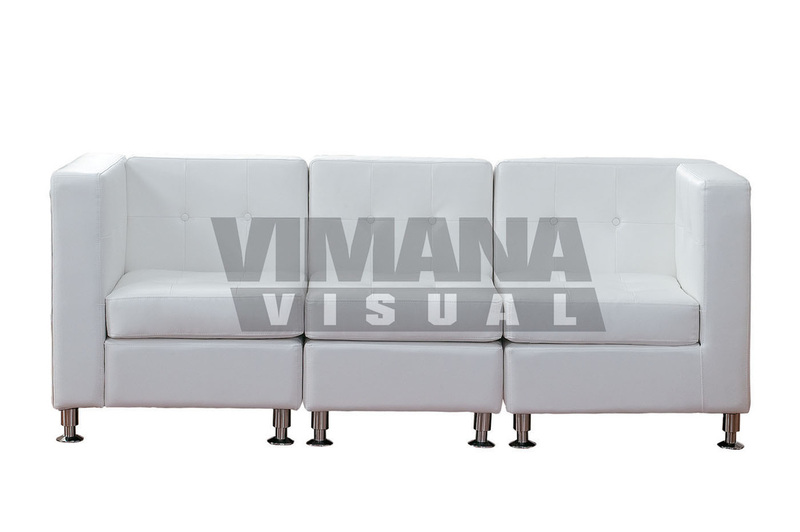 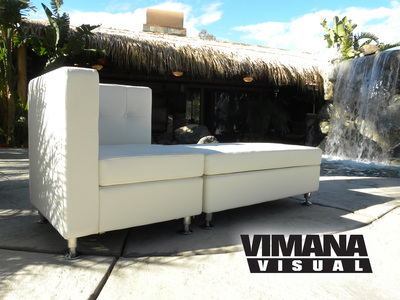 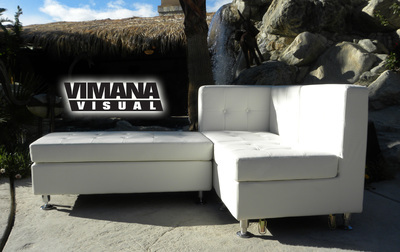 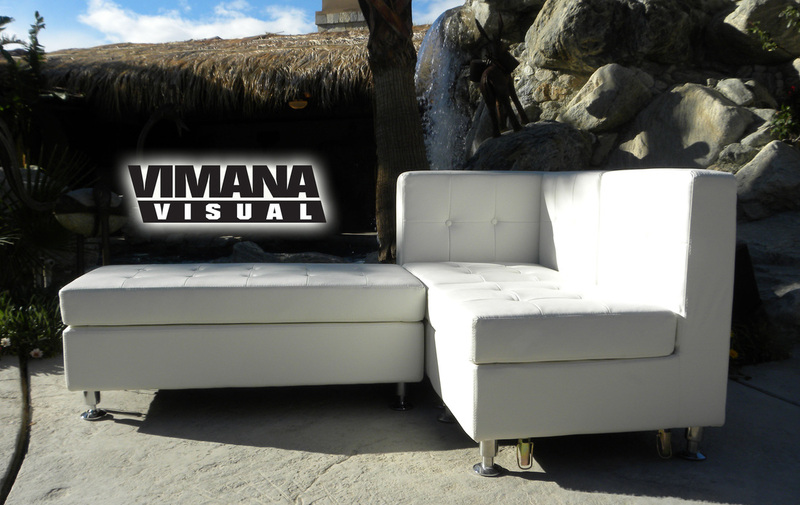 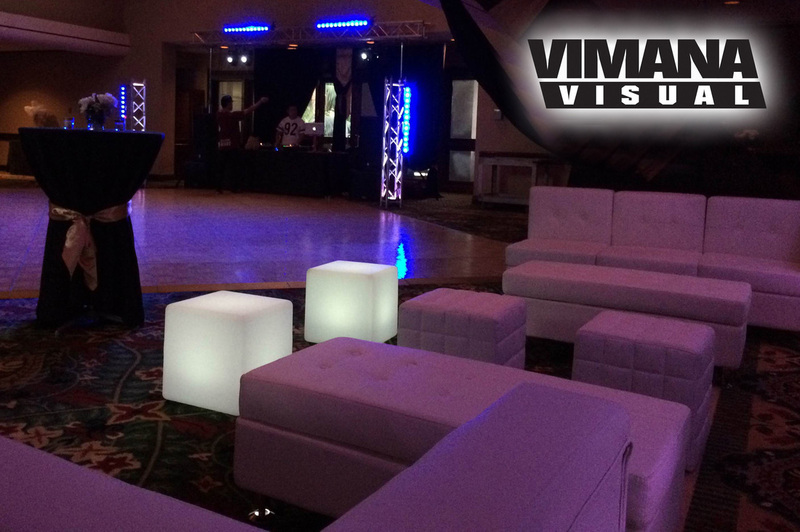 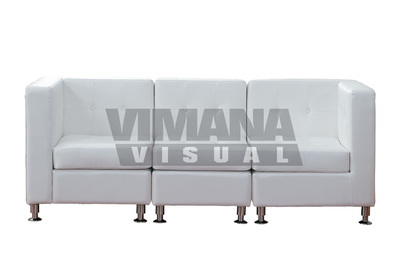 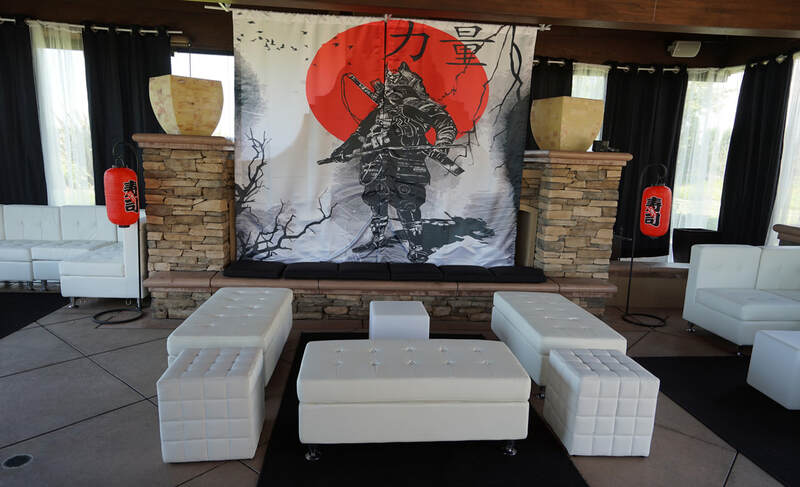 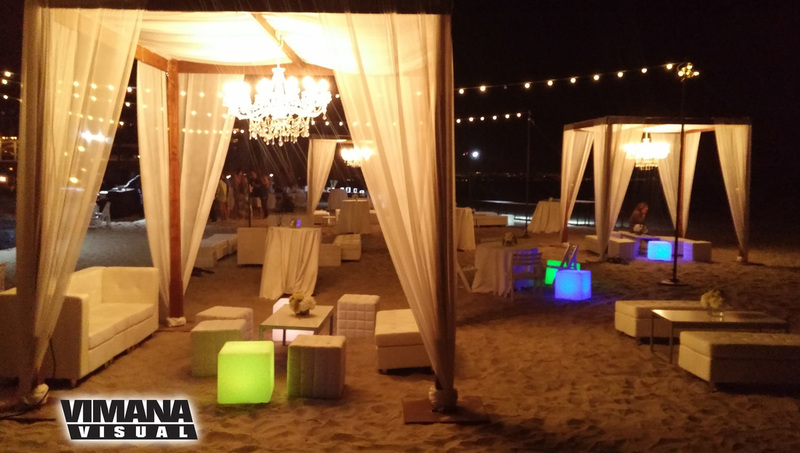 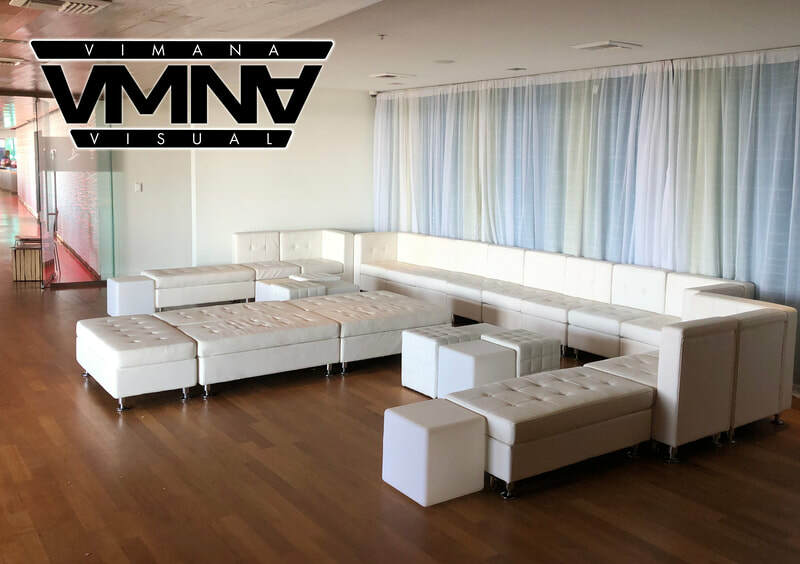 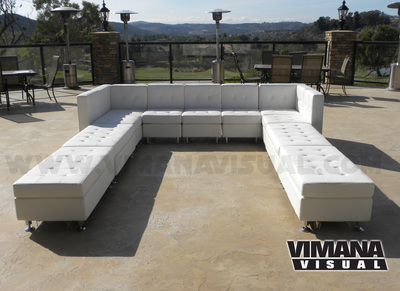 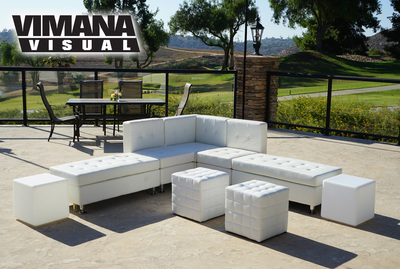 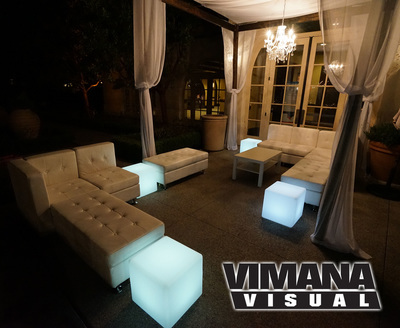 With Vimana Visual Event Lounge Furniture, you can create a unique, custom look for your Corporate Event, Wedding, Sweet Sixteen, Bar Mitzvah / Bat Mitzvah or Private Event space. Add a splash of color to your Wedding Furniture Rental with some décor or custom printed pillows to complement your Corporate Event Branding or your event theme. 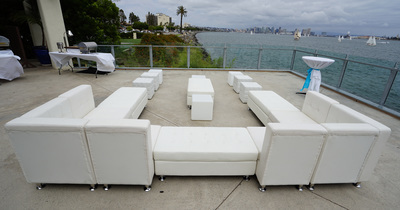 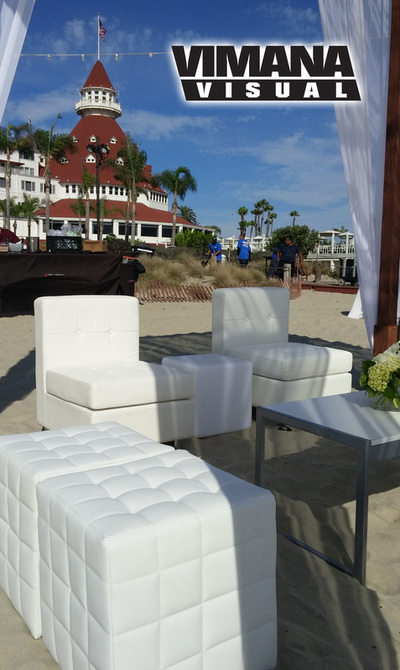 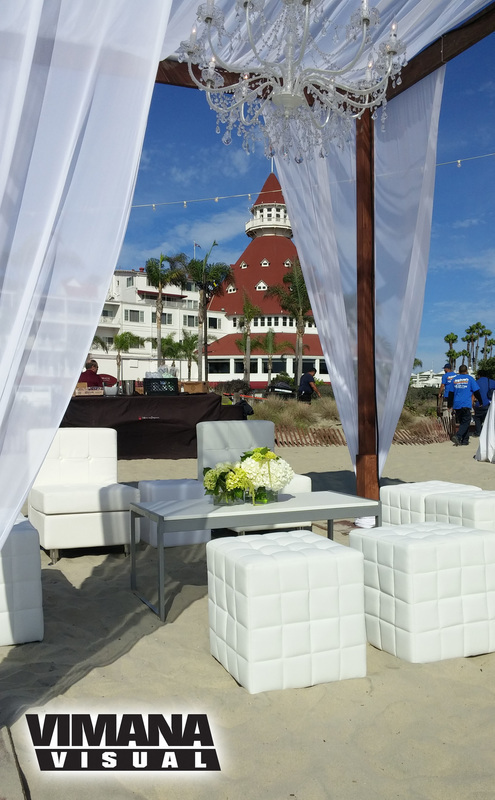 Our San Diego Event Furniture Rentals are modular and versatile. 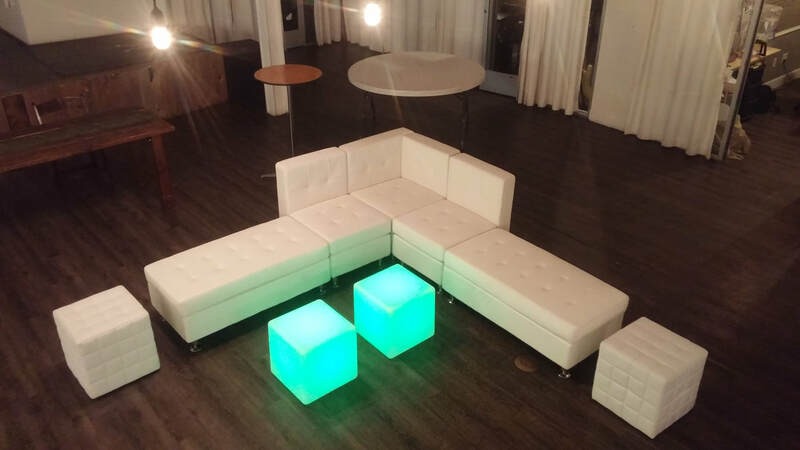 We can design a layout to fit just about any space with a large open sitting area for maximum guest mingling or create cool, small Lounge Couches for private conversation areas. 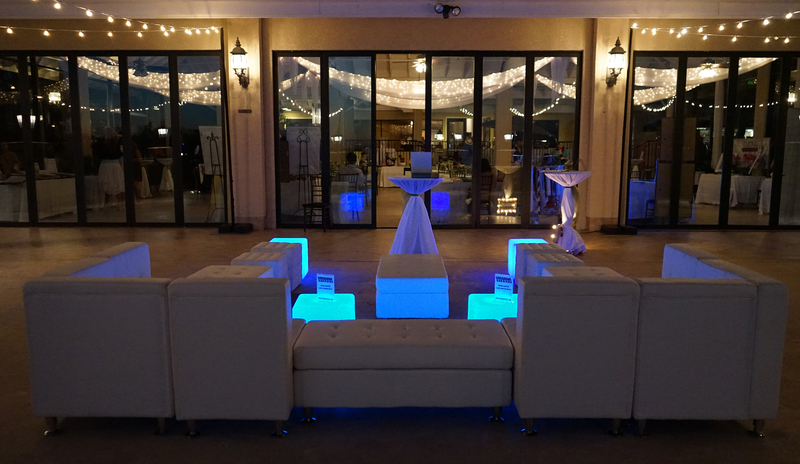 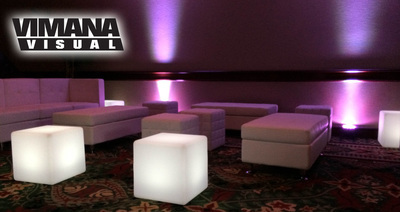 We offer LED Light Cube Rentals to add the visual effect of your Lounge Furniture Rental area. 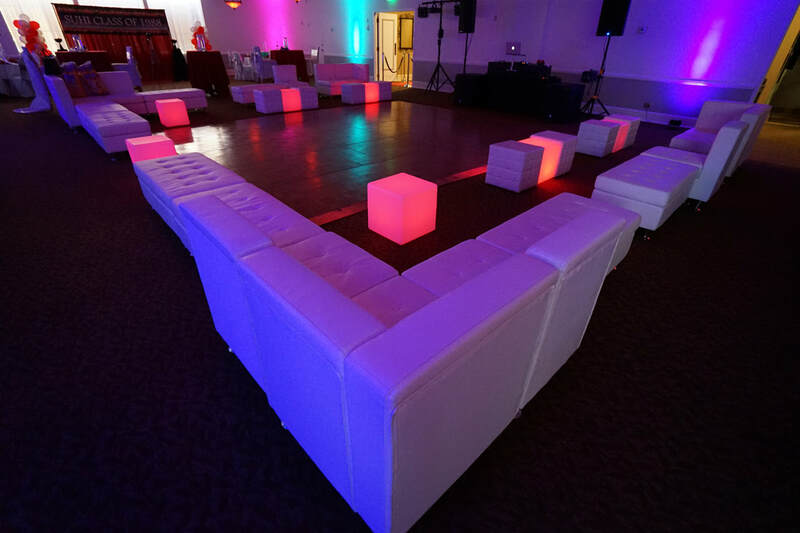 The LED cubes can illuminate one color, fade, flash and even strobe from color to color. 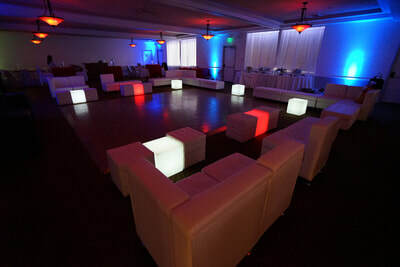 These Party Light LED Cube Rentals take the venue ambiance and style up a level. 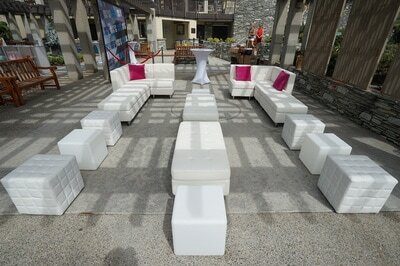 So – if you’re looking for some style and comfort, consider something better than the typical plastic chairs and tables. Our Event Lounge Furniture Rentals are perfect for Wedding Receptions, Special Events, Corporate Events, Dinner Galas, Bar Mitzvahs, Bat Mitzvahs, Quinceaneras, Sweet Sixteen Parties and Private Parties. 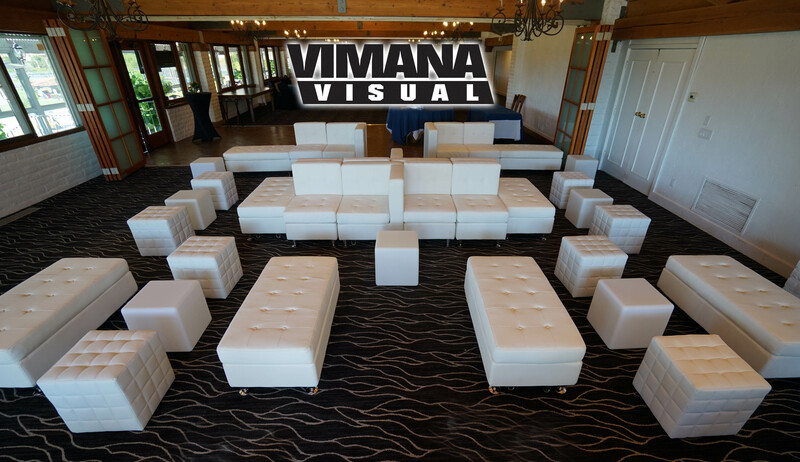 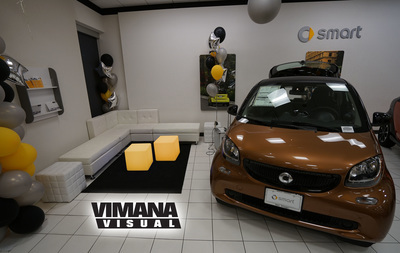 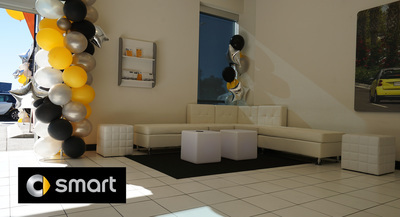 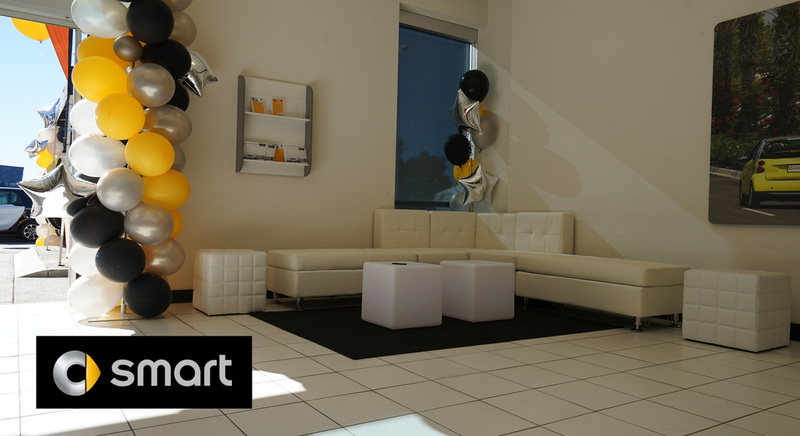 ​If you are looking for style and creativity for your event lounge... well, you found it right here at Vimana Visual. See below for more information on our Lounge Furniture Packages. 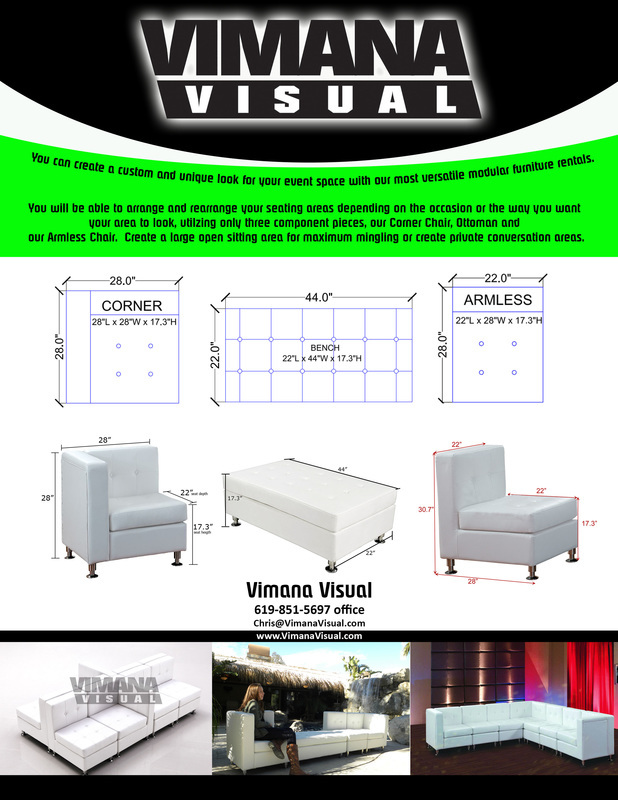 A reasonable delivery / set up fee apply to all orders.